This is a guest post by Josh Howard, a PhD Candidate in the Public History Program at Middle Tennessee State University. He is also one of four editors for the Sport in American History Blog, and spoke recently at the NCPH conference about the function of video games in encouraging empathetic engagement with the past. He has written a little bit on his personal blog about video games and the past. What’s the point of preservation? Why do we, as a society, restore an object, a structure, or a place? Why does the demolition of a beautiful old building engender significant public outcry? In other words, why do people want to keep around all kinds of old stuff? To keep it simple, we preserve old stuff because places help shape the very fabric of our individual and social identities. Historic preservation can bind together a community, protect and shape memory, and improve the aesthetic of our lives. This leads to another question though: what use is preservation without the human stories that brought the world to life? I would argue that very rarely is there any point to keeping the shell of a building without the stories that filled it. Historic preservation projects generally serve little purpose without supporting information—oral histories, archival sources, archeological items, and so on—that give significant human meaning to inanimate places. So what does this have to do with games? Well, everything really. Preservation applies to digital worlds and video games, although with many fundamental differences. We can’t exactly archeologically excavate a digital world, for example, and digital buildings do not decay over time. However, we can collect stories of the people who populated digital worlds. Video games are largely defined by interactions, either between the game and players or between players themselves. Without gathering stories, these player interactions become forgotten over time. To me, as a public historian who loves video games and sees them as important cultural objects worth studying, letting MMO stories drift into the ether is unthinkable. With this brief blog post, I am going to specifically discuss the importance of preserving the ethnography of a specific type of video games—Massively Multiplayer Online Role—Playing Games (MMOs), large games where tens, hundreds, thousands, and sometimes millions of individuals assume the role of a fictional character in a persistent digital world (usually hosted by the game’s publisher). Some well known examples include World of Warcraft, Everquest, and Ultima Online. 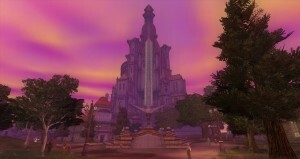 To most players of these games, an MMO is not just playing a game; the MMO is a form of community. Without a community or social experience, then MMO worlds have little value beyond their aesthetic appeal, which is beautifully captured by Atlas Obscura writer Eric Grundhauser in his piece on World of Warcraft and which I attempted to capture myself for Everquest II. I will also discuss Public History Norrath, my very small and very young project with which I gather and publicly share the stories of MMO players. Today, there are many archives in the U.S. preserving MMO video games and preserving them well. Archives at the University of Texas, the University of Michigan, The Strong National Museum of Play, the National Media Museum, and others do an incredible job of preserving game software, hardware, development materials, and other game-related media. These archives are also setting best practices in their field and establishing excellent archival theory. There’s no way to fit it all in here, but I would suggest those interested in archival practice in theory to check out the work of Henry Lowood, who first proposed a preservation model in 2002 that would document human behavior in digital worlds. Preserving MMO worlds poses significant challenges to archivist, even more so than the preservation of other new media. Generally speaking, most preservation of new media focuses on the background of the initial creation of the media along with the final, completed form of the media itself. Such is the case with, for example, a music archive: the vast majority of collections are papers collections of music creators and the sheet music and recordings of the songs they create. The formats of the collection are many, but there is a clear creation point and final product, for the most part. MMOs, however, do not have a clear creation point and most are never “completed.” Further, MMOs are persistent, ever changing social worlds, not unlike other social interactions. Preserving and documenting these worlds at any points beyond creation and finality presents becomes highly difficult. Few scholars have addressed the problem of documenting the cultural and social history of MMOs, otherwise known as player and community interaction. Megan Winget—who then worked at the University of Texas-Austin—addressed this problem (and others) with an IMLS-funded MMO preservation project beginning in 2008 and several follow-up journal articles. In one, she addressed the issue of socio-cultural preservation: “In addition to creating a framework to describe context, there needs to be a shift from thinking about digital objects as discrete entities to thinking about them as parts of an integrated whole. Ethnographic studies of players, makers, and various other stakeholders will provide valuable information on the role of videogames within our culture.” With this quote, Winget primarily referred to the physical space of video gaming, such as arcade layouts and locations, but she refers to mental space, social space, and player interactions as well. As far as I am aware, archives have not followed up on Winget’s call for the preservation of lived social experiences within digital space, likely because of technical and manpower challenges. One solution to the problem would be to encourage game companies to log, document, and preserve user interactions. Some games may do this privately, but larger MMOs do not; the storage space required would be immense, not to mention privacy concerns. Further, dependence upon corporations to document their own past opens up a whole host of new problems: potential bias, pay walls, and the company could cancel the project anytime. To provide a more practical solution, I return to a key term utilized often by Megan Winget—ethnography. To be more specific, I am talking about a specific, highly specialized type of ethnographic research: oral history. Oral history is, at a basic level, the co-creation of structured interviews that elucidate specific aspects of the past. Oral histories serve many purpose that no other approach can serve. For example, oral history helps us understand how people experienced the past by bringing us—the modern observer—down to the personal level. Regarding MMOs specifically, oral histories can also show us what has changed over time in digital worlds, both in terms of actual game mechanics and game culture. 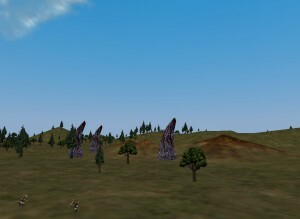 For example, phrases such as “Barrens chat” or “train to zone” will likely mean nothing to the potential MMO researcher ten, twenty, or a hundred years from now. Without oral history sources, researchers seeking to understand such language are forced into archaic, disorganized forums and websites or into anecdotal, haphazard asking about. As it currently exists, this type of information is rapidly disappearing from the internet into broken websites. Examples such as the classic Geocities page EQ Rangers are few and far between, and who knows how much longer this mirror will actually stay up. I have been conducting and collecting oral histories in an attempt to create some organized structure in the chaotic digital world of MMO culture. There are three different ways I go about this: in-person or phone interviews, a survey, and forum inquiries. South Karana had Splitpaw and the Aviak village – places where I met friends that I would keep for years. Early in my adventures, maybe around level 12, I was camping the claw monoliths around Splitpaw. Two players who were passing by threw me a full set of Banded Armor and wished me well. About a month later, I would join their guild – the Watchkeepers. I eventually became an officer, a raid leader, and made friends that I still have to this day. The game was new, friends were new. Really the entire launch as we moved through the zones with friends was an amazing experience. It really felt that each time you went into a new zone you were entering a new frontier. No one knew what to expect. The quest to get into [Enchanted Lands]…..we were the second guild to get in. It was pretty amazing. We had a Swashbuckler with group sneak so we could explore the entire zone before we were high enough to kill the mobs. I followed that yellow line and ran into a troll who hailed me. Wait a minute. A troll? In Qeynos? Not getting attacked by guards? Wow. This troll proceeded to tell me how he and his pregnant wife are about to move and he was looking for someone to give away all his stuff to since he was quitting. The trade window opens and gets filled. Then again. Then finally a third time with 5 plat and some gold. Holy crap I’m rich! We get to chatting about a boat load of different topics: work, marriage, kids (2 of my own), EQ1, and of course EQ2. He took me all around Antonica. That’s when it hit me how big it was. This went in for a few hours. We made it back to Nettleville, said our goodbyes and he was gone forever. These are exactly the types of stories give meaning to the world. To Swiftarrow, the Splitpaw monoliths bring back warm feelings of friendship and camaraderie; Karudan thinks of his guildmate friends whenever he remembers the Enchanted Lands; and Nome will always remember that random friendly stranger in Qeynos. But to a future tourist or researcher, the monoliths are just scenery, Enchanted Lands are just a place of lush digital scenery, and Qeynos is just a big digital city. Kelethin was unique, in that it existed in the trees of another zone. The amount of freedom at higher levels with levitate and [Spirit of the Wolf] was unparalleled. Also, on [the] Tunare [server] specifically, the auction community set up shop there. We had “gBay”, not the Commonlands tunnel. For whatever reason, players on the Tunare server chose to congregate in Kelethin to trade rather than the Commonlands tunnel. While this may seem a trivial matter, this is the type of clue that could unravel the complexity of player interactions and undo the assumption that all servers, more or less, were composed of identical populations. By utilizing oral and public history, I hope that Public History Norrath, archivists, and other public historians can help to complete the picture of MMOs, figuratively populating now-empty (or at least now-changed) worlds. Game companies—especially Blizzard and Daybreak Entertainment—must also consider the importance of preservation. Their games are old enough now that extensive company histories are waiting to be written. 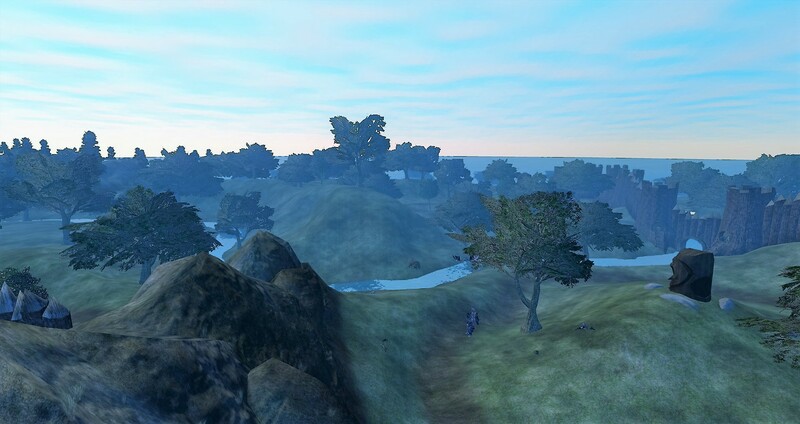 For example, Everquest is entering its sixteenth year and third different developer. As far as I am aware, nobody is collecting player stories, company history, or anything else related to the game (beyond wikis about quests and loot). Those are projects just waiting to be written. Or an in-game tour of the live game or of curated exploration-only servers. While I emphasize the importance of gathering player stories, just to be clear, I am not suggesting that oral histories gathered in 2015 accurately reflect the social and cultural MMO experience of 1999. Oral histories, by their very nature, collect memories, and memory—as is well documented by oral and other historians—is fallible. However, the oral histories of Public History Norrath are not meant to be used for documentary purposes; the primary drive is not to learn where, for example, Swiftarrow traded with other players, but instead to document Swiftarrow’s memories of spaces in order to give them meaning. I hope that Public History Norrath helps to create a portrait of how individuals in the present remember their digital selves in the past. I conclude here by returning to the work of Megan Winget: “In preserving and archiving the video game creation process, researchers need to develop systematic creation methods and establish user data management systems and processes that can be easily passed along to and replicated by future researchers.” Public History Norrath is a small start to what could—and should—be an immense undertaking. I hope that you, the reader, would be so kind as to reach out, share MMO experiences, and help preserve these digital worlds that have so much meaning to so many people.